I’m not generally wild about mustard, but these pretzel-coated chicken tenders may convert me to a fan. Occasionally, I’m willing to try good brown mustard as a dip with pretzels. That’s where this recipe originated. I had high-quality brown mustard on hand and wanted to try it. 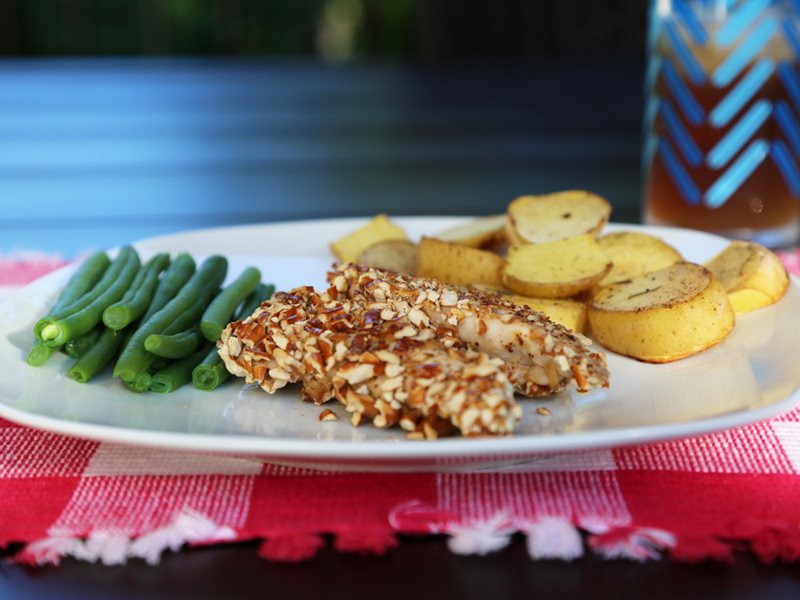 For this recipe you dip chicken tenders in both mustard and pretzels. Then you bake them. This three-ingredient recipe tastes more gourmet than you think. The recipe serves four. I like to pair it with steamed green beans and roasted Yukon Gold potatoes. Crush about two cups of pretzels. They can be ground in food processor or smashed in a bowl with the bottom of another bowl or a glass. Fill a small bowl with the mustard. Lightly coat each tender in mustard. Then coat each tender with pretzel bits. Place on baking sheet. Extra tip: I like to use pretzel sticks or large ones rather than the minis. They are easier to crush. No Replies to "Pretzel chicken tenders"